"Behind the Curve" brings hope for mending – AiPT! Forget the facts, it’s the people — on both sides — driving flat Earth belief. I’m a science communicator and astronomy enthusiast. Nothing gets under my skin more than willful ignorance, “alternative facts,” and the argument that science is nothing more than propaganda to hide the real truth. With that said, the conspiracy world outside the science umbrella can be interesting, even useful at times. Not all conspiracies are harmful, and some even turn out to be true. I’ve been friends with a few conspiracy theorists through the years and, in full disclosure, there are things that even I’m skeptical about. After all, critical thinking and a healthy dosage of skepticism often go hand in hand. As we’re all too aware, there’s a growing population of folks who believe we all live on a disc-shaped planet. Yep, we’re talking about “flat-Earthers.” For almost four years I’ve been battling flat-Earthers in real life and online, holding my ground as a proud oblate spheroidist. When my editor asked me to watch the Daniel J. Clark documentary Behind the Curve, I begrudgingly agreed … and then promptly wished I hadn’t. If you’ve spent any time trying to explain the spherical shape of our planet to a flat-Earther, you know what comes with the territory. It gets ugly, quick. It took three days for me to get to the end. Initially, I wanted to throw my television out the window, but then the film fundamentally changed my point of view. I highly recommend Behind the Curve for anyone and everyone. Stick with it, you won’t regret it. 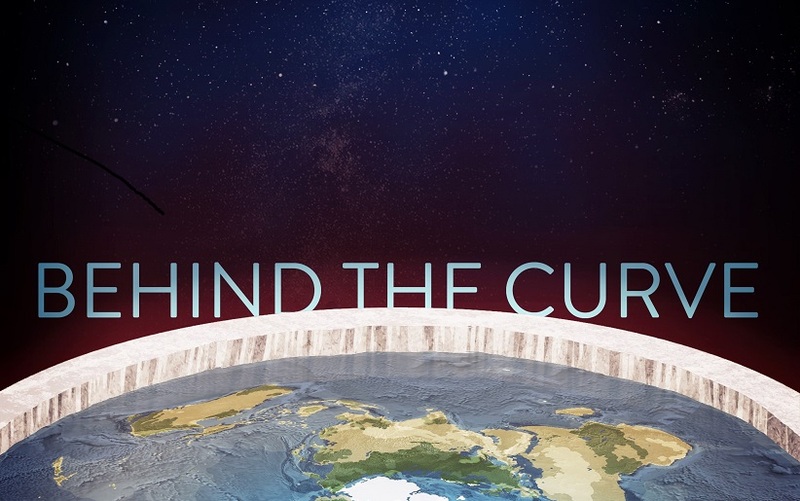 Behind the Curve is billed as an objective look into the flat Earth “theory,” although it probably seems slightly skewed for your ideology, regardless of where you stand. The start of the film centers mainly on the people at the core of the movement and hardly touches the actual idea itself. In other words, if you’re looking to grasp flat Earth’s principles, YouTube is full of it. Likewise, if the hope is to see some “flearther” bashing, don’t hold your breath. The first half of the film introduces Mark Sargent, Patricia Steere, and a few other notable members of the flat Earth community. In interviews they talk about the basics — how they’ve found flaws in science and it lead them to seek home within the flat Earth community. Strewn throughout are snippets from scientists such as astrophysicist Hannalore Gerling-Dunsmore and writers like Tim Urban. Psychiatry professor Dr. Joe Pierre and even astronaut Scott Kelly are interviewed to discuss their take on the movement. Toward the end of the film, the science realm is more involved, so, again, don’t give up if you’re feeling agitated. The purpose of the film doesn’t become really clear until about three fourths of the way through. Behind the Curve isn’t about flat Earthers or the idea, it’s about our uncomfortable failures and isolation within both the scientific and flat Earth conspiracy communities. It should be mentioned there are other points that are very well made in the film, but foremost it addresses intellectual superiority and lack of empathy within the sciences. In the flat Earth community, it exposes extreme cognitive dissonance and confirmation bias. You might scoff at the idea of scientific intellectual superiority, but Dr. Spiros Michalakis, a physicist from Caltech, lays it out beautifully. He feels that the deep, angry division between the scientific community and flat-Earthers doesn’t stem from the conspiracy theorists, but from the side of science. “Very often it is difficult not to look down,” Michalakis says. Lamar Glover, a physicist from Cal State LA, concurs. “We can’t blame it all on people just being delusional or the c-word, which is the ‘crazy word’ — I think a lot of times we just say ‘crazy,’ and it’s a scapegoat,” he says. Clark interviewed a lot of flat-Earthers for the film and many have issues with feeling disliked or tossed aside by those of us who see the world as round. One woman has issues finding partners due to her belief. Another says his kids and ex-wife think he’s not all there. Scientific superiority seems to be what drives these people to seek community together. It’s a judgement-free zone where they feel accepted, human. They have roles and are well-liked — they’re somebodies. However, after watching the film, it’s still hard not to pass judgment, because now my anger is replaced with a sense of sadness. Where did they go wrong? Well, with the scientific method, for one. There were a few short experiments done on screen by some engineers who are part of the flat Earth community, two involving a $20,000 ring laser gyroscope. Each experiment aligned with expected results for a globe. Instead of acknowledging the results as valid, they rejected the conclusions. They opt to then work backward, starting at the conclusion of a flat Earth in order to try to find a method that will fit and validate the reality they desperately want to believe. Anybody can believe whatever they want to believe about me, but I wonder if in their hearts, people who do that know they’re lying OR are they so conspiratorial that they actually believe it. Then, it makes me worry about, maybe things I believe in. Am I another version of them? But I know I’m not. It’s really hard to not call that “crazy,” and that’s just the tip of the iceberg. The cognitive dissonance — discarding of uncomfortable data to retain one’s beliefs — is stunning, dwarfed only by the extreme bias held while trying to bend reality to fit their thoughts. If they won’t bend, something has to give. According to Behind the Curve, that “give”? Well, it’s on us, my scientific friends. Okay, I’m an a**hole, now what? As Behind the Curve points out, many of the people who are part of the flat Earth movement are clever and intelligent. They’re people who, often times, take a lot of crap for their beliefs. You may be thinking, “and rightfully so,” but hold on. These people have invested their lives in this idea, cutting ties with loved ones and putting themselves into a place of ridicule. Yes, it would be difficult for them to give up the entire social structure they’ve built. Some may never return. It’s also going to be difficult for those of us who live and breathe science and facts, but it’s our job as advocates, isn’t it? So what can we do? We step up and move forward. If the flat-Earthers don’t want to come, or say some pretty harsh things? Act like adults and try to empathize. We must extend our hands, even knowing that we may not get results. If we don’t address it — if we don’t engage — we’re allowing poorly informed people to choose our future, our health, our government, our planet. The time is now to get out from behind the curve, so let’s begin. – from Science, with Love. Shazam! (Movie) Early Access Review: Best DCEU movie ever?